Working with nature, we can create inviting, low-water use landscapes and outdoor spaces that enhance the ecosystem and your property. Permaculture design can help us create sustainable landscapes that build soil, grow food for us and wildlife, conserve water, moderate flood and drought conditions, moderate temperature fluctuations, create natural habitats, regulate pests, increase biodiversity, and make the desert bloom! At The RainCatcher, we believe that the integration of humans with our planet’s ecology is the way we will bring the Earth back to health. By working with nature we are cooperatively utilizing all of the aspects of the natural world (soil, water, insects, birds, predators, foragers, canopies, understories, etc.). By tapping into this interdependent system, the majority of the work can even be done for us automatically. Permaculture is an approach to designing human settlements and agricultural systems that mimics the relationships found in natural ecologies. Permaculture operates by a set of principles: Care of the Earth, care of people, and sharing surplus. Any design that is based on these principles will promote sustainability in a larger way. 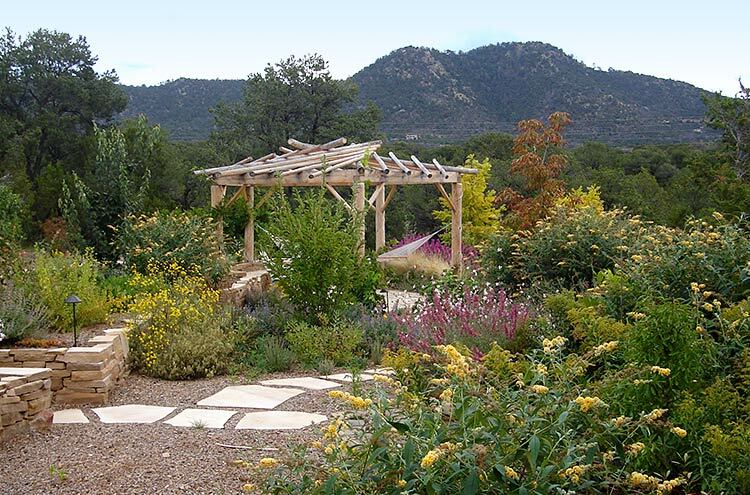 Permaculture in the high desert has completely different parameters and design guidelines than in other ecological systems. In the high desert water is the key component to all forms of sustainability. Most permaculture design implementation requires a certain amount of energy and resource input before the system can “take care of itself.” It can be implemented on the smallest or the largest of sites. 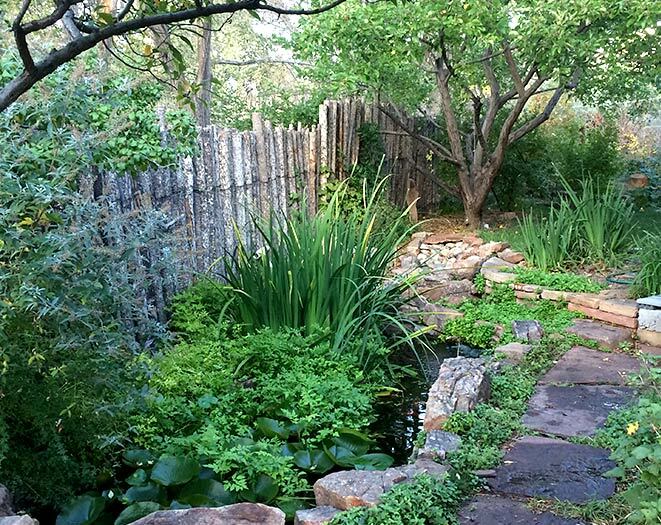 Permaculture landscaping can include water features, edible plants, fruit trees, native grasses and wildflowers and much more. How did permaculture get its start? It began in the 1970s as a principle that was coined by Bill Mollison. He was upset by modern society’s industrial methods of food production and distribution which he believed was systematically destroying Earth’s ecosystems. Permaculture became a movement that focused on training individuals to design their own environments so they could become self-sustained as Permanent Agricultural systems. A design that follows the guidelines of permacultures code of ethics is mainly what constitutes “permaculture design.” Taking it to another level is where the benefits really take place: Following patterns and principles we see in nature helps us to be more sustainable and have nature work for us in a harmonious way. Where can I learn more about permaculture?